China has given the first green light for a foreign firm to take control of a mainland securities joint venture, the latest step in the country’s move to further open its financial sector. 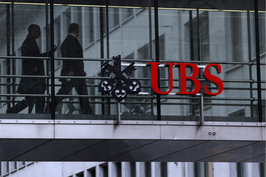 Swiss financial titan UBS Group AG gained regulatory approval to increase its shareholding in its securities joint venture in China, UBS Securities Co. Ltd., from 24.99% to 51%, according to a statement (link in Chinese) released Friday by the China Securities Regulatory Commission. China has vowed to grant foreign investors wider access to its financial markets, including allowing foreign financial firms to take controlling stakes in their securities joint ventures. In April, the securities watchdog issued new rules raising the ceiling on foreign ownership of a Chinese securities firm to 51% from the previous 49%. The move came after the government promised in November 2017 a series of steps to open its markets during a state visit by U.S. President Donald Trump, who put increasing financial market access at the top of his agenda for his visit. Founded in 2006, UBS Securities is owned by UBS and four Chinese state-owned enterprises. Among them are China Guodian Capital Holdings Ltd., the financial arm of power generator China Guodian Corp., and agricultural products supplier China National Cereals, Oils and Foodstuffs Corp. (COFCO). UBS will acquire from Guodian Capital and COFCO their 12.01% and 14% stakes in the joint venture, respectively. 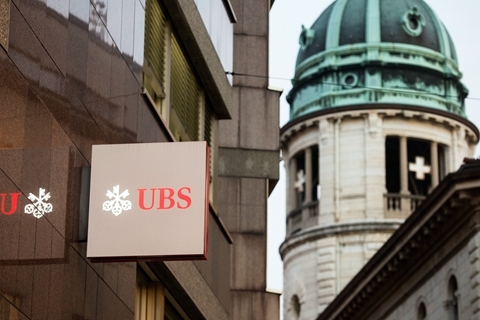 “Upon completing the transaction, UBS will become the first foreign bank to increase its stake to gain majority control of a securities joint venture in China,” UBS said in a statement. Other foreign financial firms have applied, or plan to apply, to raise their shareholdings in their securities joint ventures, including Swiss financial conglomerate Credit Suisse Group AG and American investment bank Morgan Stanley Group Inc. In addition, several financial institutions are seeking to set up new securities joint ventures in which they would hold a 51% stake. 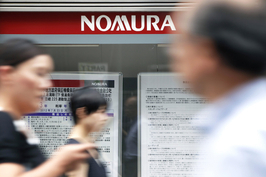 Among them are U.S.-based JPMorgan Chase & Co., and Japan’s Nomura Holdings Inc. and Daiwa Securities Group Inc.